WATCH: CHAOS AT ALEX MEETING WITH MASHABA! Joburg Mayor Herman Mashaba decided to finally meet with the residents of Alexandra on Monday evening at the Marlboro Community Hall. 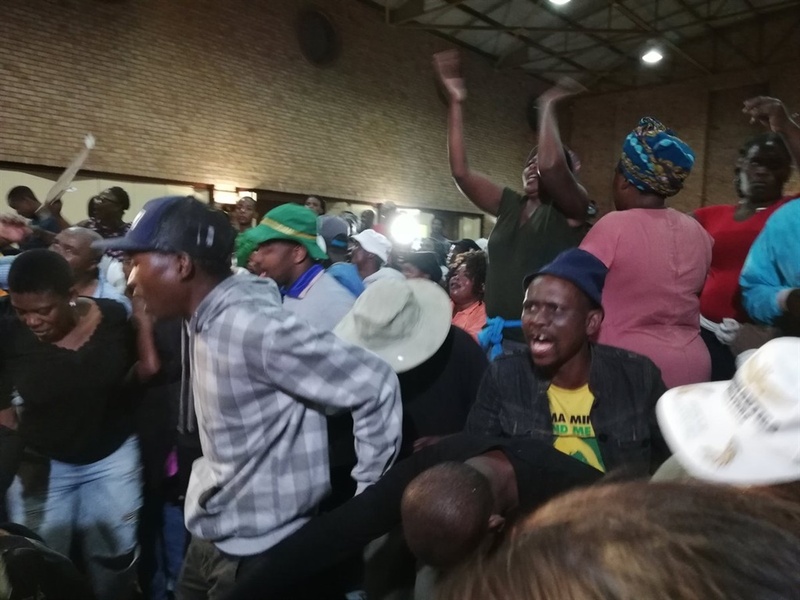 The meeting became chaotic after residents sang and disrupted the meeting, while the Total Shutdown leader Sandile Mavundla tried to calm the residents down so the programme could start. When the situation settled down a representative of the Alex community read the memorandum. Part of the memorandum read: "you politicians must stop pointing fingers at each other, we want service delivery." However, it didn’t take long for the meeting to be interrupted again as some residents tore apart the Integrated Development Plan (IDP) papers that were distributed at the meeting detailing what Mashaba had planned for Alex. Notice how #HolaMatamela ended when the #HermanMashaba IDP meeting in Alex was cancelled. How do I know that the ANC disrupted the #HermanMashaba meeting? They tore up the IDP plan. The community of Alex (the real community) wants solutions, and wants to listen to @HermanMashaba.